Oscillopsia also called swinging vision or oscillating vision is an eye disorder. Those with this kind of eye disorder normally report that objects within their horizon of their eye vision usually move back and forth. That made it difficult for them to effectively capture and recognize an object. Apart from object within the field of eye vision moving back and forth, it also moves upward and downward. Oscillopsia is simply defined as visual disorder, in which object within the visual field appears to oscillate. This disorder usually starts from mild blurring in eye vision to periodic and rapid oscillating of object. Indeed, this condition is quite incapacitating by majority of patients that have neurological disorder. This disorder can be ocular instability result that normally comes up following effects on the oculomotor system making it unable to retain image on the retina. The symptoms are quite obvious; they include unstable nature of objects within the field of vision. Objects will start to move up and down, back and forth resulting to serious effects including nausea, dizziness and others. The moment you start to experience blurring in your eye vision, or jumping of object in your eye then, you should see your doctor without wasting time. This visual disturbance known as Oscillopsia has been reported to be caused by different things. Among other causes of this visual disorder, head injury or even disease that affects neurological function can be among the major cause. Another thing that can cause this eye disorder is involuntary movement of the eye like nystagmus. It can also be caused by impairment of visual cortex mostly caused by toxins. Also, this visual disorder is among major symptoms of other diseases like Superior canal dehiscence syndrome and others. 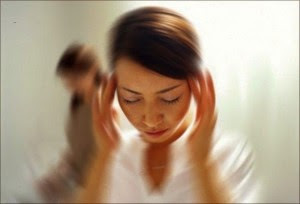 Those suffering from this problem always complain of dizziness or even nausea and other disturbing health issues. This disorder can be treated and the symptoms fade completely over time. But the oscillopsia treatment varies to a great extent depending on some certain features including the reasons why the condition developed and overall health issues. Treatment of this condition is always commenced immediately the symptoms are confirmed. The reason for quick commencement of treatment is that this disorder might be a sign of some other disorder that belongs to neurological system.